Side (Vertical) Tabs Coming Back to Google Chrome? 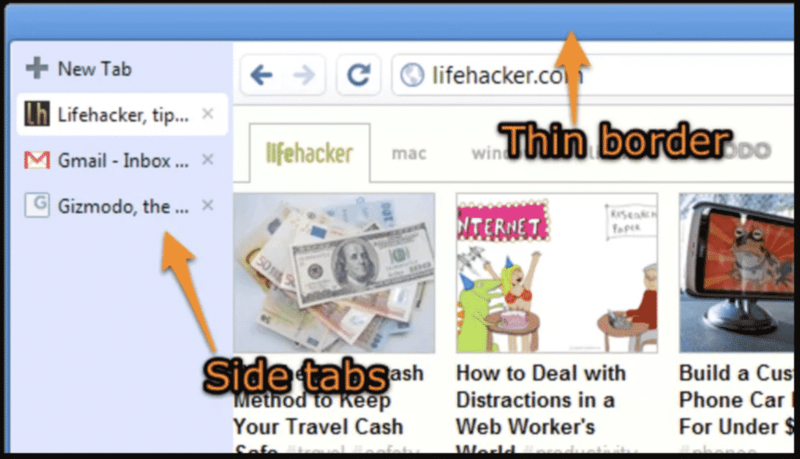 Vertically aligned tabs or side tabs was an experimental feature that Chrome used to have. There were a lot of fans for this feature, and they were really sad to see this feature go. That was in 2011. This feature might come back in 2018. 3. Draw boarder for vertical tab alignment. Test: Run in linux build. Screenshots are attached in the bug. // The orientation of the tab alignment. Oh, and that bug is private, so no screenshots for you today. I am 99% certain that this commit talks about bringing the side tabs back, complete with Material Design support. If everything goes according to (their) plan, we should see this feature as a flag in Chrome Canary soon. I’ll keep an eye out for this feature for you. All you have to do is stay subscribed to Chrome Story! Oh, one more thing. If you are excited to see this feature coming back, don’t forget to say hi in the comments section!